2017-7-1 : Did Life on Earth Come From Outer Space? A look at the scientific evidence for panspermia. In the 16 years since Fred passed, we have discovered so much more about the complexity of “life” at the nano-scale. The more we learn about viruses and their contribution to our “human” biosystem, the more we become aware of just how intuitively right Fred was. I thought I would finish this post with a reference to Wikipedia. With all its flaws it does attempt to be a source for the latest thinking even if you need to check what has been recently deleted to see the best latest and best hypotheses. “Life is a characteristic distinguishing physical entities having biological processes, such as signaling and self-sustaining processes, from those that do not, either because such functions have ceased, or because they never had such functions and are classified as inanimate. Various forms of life exist, such as plants, animals, fungi, protists, archaea, and bacteria. The criteria can at times be ambiguous and may or may not define viruses, viroids, or potential artificial life as “living”. Biology is the primary science concerned with the study of life, although many other sciences are involved. The definition of life is controversial. The current definition is that organisms maintain homeostasis, are composed of cells, undergo metabolism, can grow, adapt to their environment, respond to stimuli, and reproduce. However, many other biological definitions have been proposed, and there are some borderline cases of life, such as viruses. Throughout history, there have been many attempts to define what is meant by “life” and many theories on the properties and emergence of living things, such as materialism, the belief that everything is made out of matter and that life is merely a complex form of it; hylomorphism, the belief that all things are a combination of matter and form, and the form of a living thing is its soul; spontaneous generation, the belief that life repeatedly emerges from non-life; and vitalism, a now largely discredited hypothesis that living organisms possess a “life force” or “vital spark”. Modern definitions are more complex, with input from a diversity of scientific disciplines. Biophysicists have proposed many definitions based on chemical systems; there are also some living systems theories, such as the Gaia hypothesis, the idea that the Earth itself is alive. Another theory is that life is the property of ecological systems, and yet another is elaborated in complex systems biology, a branch or subfield of mathematical biology. Abiogenesis describes the natural process of life arising from non-living matter, such as simple organic compounds. Properties common to all organisms include the need for certain core chemical elements to sustain biochemical functions. Life on Earth first appeared as early as 4.28 billion years ago, soon after ocean formation 4.41 billion years ago, and not long after the formation of the Earth 4.54 billion years ago. Earth’s current life may have descended from an RNA world, although RNA-based life may not have been the first. The mechanism by which life began on Earth is unknown, though many hypotheses have been formulated and are often based on the Miller–Urey experiment. The earliest known life forms are microfossils of bacteria. In July 2016, scientists reported identifying a set of 355 genes believed to be present in the last universal common ancestor (LUCA) of all living organisms. I think Fred would concur with me that although this is an acceptable public representation of life, this misses the profound discovery that all visible life forms are not a simple single “entity” but a complex biosystem of interacting clouds of viruses, bacteria and as yet undiscovered nano-life forms. 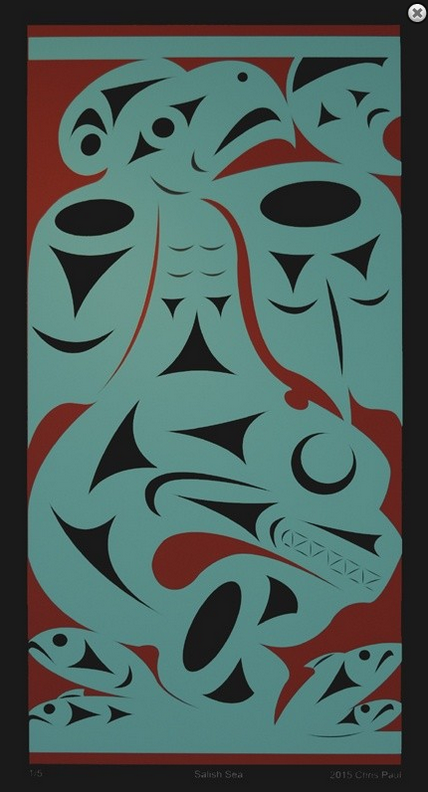 I always smile when I think of this as it reminds me of just how great Fred’s visionary novel was – the Black Cloud. 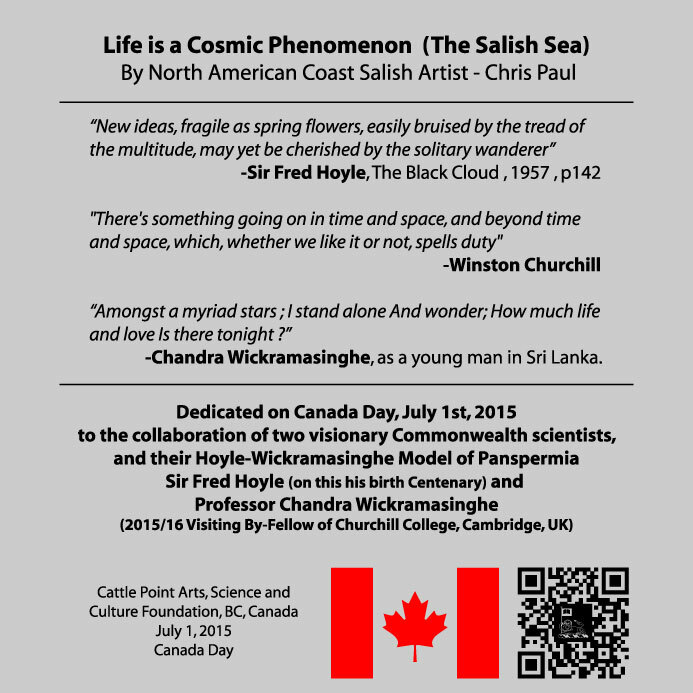 July 6, 2015 : by Bill Smith – post graduate student of Chandra Wickramasinghe. As NASA has now changed its overall mission tag from “Search for Water” to “Seeking the Signs of Life”; and as missions to Titan, Enceladus, Europa and Mars are planned to “seek for the signs of life”, the astrobiologists of this new generation are no longer constrained to seek life just on earth. The spread of material from Mars to Earth and back, is proven and accepted; the associated spread of viruses and bacteria, live, dessicated or fossilized, is statistically likely and studied by astrobiologists in Universities around the world. It is now mainstream science, so get over it. The Hoyle-Wickramasinghe Model of Panspermia has remained the most likely model for over 40 years and over the last 5 years discoveries in deep earth, deep rock and deep space have increased the likelihood that we will find our “little friends” on most solar system bodies – from Mars, Titan, Europa and Enceladus. Comets with their short orbits contained within the inner solar system, (ie short period comets), have likely seen continuous transfer of microbes since “Day 1”. Rosetta’s Comet 67P is a 8 year orbit comet, so it falls into the category of very likely containing solar system microbes. Personally I am more excited about long period comets like ISON coming in from the Oort Cloud and likely even adjacent stars. There is every possibility they contain new strains of microbes. 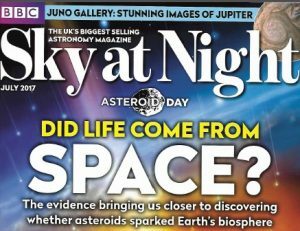 But 67P is “one of ours”. So if Rosetta and Philae experiments find “NO” microbes, this will indeed be a major discovery and will be a start of a huge rethink. Even challenging the validity of Panspermia. The probability is Sir Fred Hoyle and Chandra Wickramasinghe will be again proven right and their vision acknowledged. Surely, in this birth centenary year of Sir Fred, the champagne will flow at Churchill College, Cambridge University, UK. 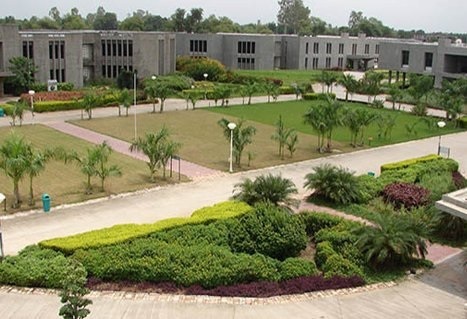 A sleepy little Indian town called Changa in the district of Anand in the State of Gujarat came alive from 21st-24th June with the descent of scores of astronomers and physicists from across in India and abroad. The publication of the very first paper by Albert Einstein on the General Theory of Relativity in 1915 and the centenary of Fred Hoyle’s birth on 24 June 1915 were the dual reason for this noteworthy event. The venue was a modern, well-appointed campus of the Charusat University of Science and Technology, located some 40 minutes drive away from a 3-star hotel in which all the participants were housed. The conference was convened by Dr. J.J. Rawal under the auspices of the Indian Planetary Society and chaired by the eminent industrialist and sponsor Dr.Mohanbhal Patel. Following the opening ceremony on 21 June, with the traditional lighting of oil lamps to signify a new awakening, the meeting was launched. The first two days of formal sessions on 22nd and 23rd June were largely devoted to matters connected with Relativity and Cosmology. Jayant Narlikar’s father V.V. Narlikar, who was a student at Cambridge in the 1930’s and a pupil of Sir Arthur Eddington, was the trail blazer for Relativity research in India and he had inspired two generations of young Indians to explore ideas in this field. The distinguished cosmologist, Professor Thanu Padmanabhan, who was one time Sackler Distinguished Professor at Cambridge University and is now a Professor at the Inter-Universities Centre for Astronomy and Astrophysics at Pune India, gave a stimulating opening talk on 22 June in which he described his new ideas about the geometry of space-time and gravity being an emergent property from some deeper thermodynamic principle. J.V. Narlikar next talked about his collaboration with Fred Hoyle on C-field (creation field) cosmology which was an attempt to formulate rigorously the Steady-State Theory of the Universe. This was followed by other speakers who covered a variety of more conventional aspects of cosmology and general relativity. The Fred Hoyle day on 24th June 2015 (Hoyle’s birth centenary) started with a brilliant presentation by Hoyle’s oldest living student Professor Leon Mestel (92). Leon Mestel was unable to attend in person, but his contribution was read out by Jayant Narlikar. Then came a talk by Peter Eggleton who had collaborated on stellar structure with Fred Hoyle in the 1960’s. The session included a talk by Fred Hoyle’s daughter Elizabeth Butler who gave some of her personal reminiscences. 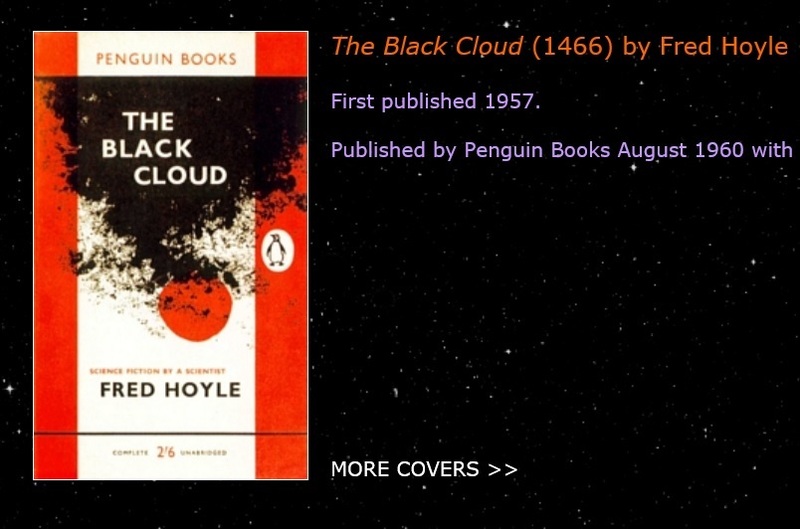 This presentation also peered beyond Fred Hoyle’s relatively impoverished childhood to a more distant lineage that included one noted poet (Ben Preston) and members of the British aristocracy and intellectual elite. The meeting closed with my 50-minute talk on “Convergence to Cosmic Biology”. Here I traced the steps in my 40-year-long collaboration with Hoyle that had led us from studies of carbonaceous interstellar dust to the theory that life is a cosmic phenomenon. The Hoyle-Wickramasinghe Model of Panspermia is now globally acknowledged as the most likely hypothesis of how life spread throughout our Solar System, Galaxy and even Universe. Since Fred Hoyle’s death in 2001 new results from astronomy, geology and biology, including DNA sequence studies, have shown our theory to be amply vindicated. A major scientific paradigm shift with far-reaching societal implications appears to loom large on the horizon. 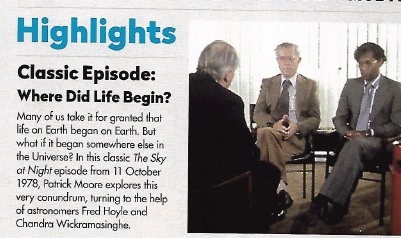 Sir Fred Hoyle was a regular guest at my family home during my childhood and early adulthood. His visits were owed to his long scientific collaboration with my father on the cosmic origins of life. Yet Hoyle’s pursuits were not confined to this area. Not only did he have a knowledge of astronomy that seemed encyclopaedic but he was also able to apply his intelligence and creative thinking to a wide array of disciplines. During his visits, he used to engage myself and my siblings in various discussions ranging from Shakespeare to politics to food and of course science. He had a passion for music and walking and used them as tools to aid his creativity. His mother had studied piano at the Royal College of Music and had imbued in him a deep love for the piano. I myself had studied the piano to a high level and Hoyle would often ask me to play whilst he and my father were attempting to unravel the unanswered questions posed by the Universe. By the 1940s, it was already known that the process by which energy is generated in stars involved nuclear fusion – the conversion at very high temperatures of the simplest element hydrogen to helium. But the precise link between such processes to the evolution of stars, and the formation of carbon, nitrogen, oxygen and other elements was yet to be discovered. At this point in the chain of reasoning Fred made a profoundly important scientific discovery. Using the science of nuclear physics he calculated that in order for carbon to be produced in this way, the nucleus of carbon must possess an “excited state energy level” that was not known to exist at this time. Convinced that carbon in the cosmos had to be produced in this way, Hoyle thereupon approached Willy Fowler, Director of the Kellogg Radiation Laboratory at Caltech and asked him to use his laboratory to look for carbon. It was found to be present. Despite holding prestigious posts – Hoyle was Plumian Professor at Cambridge and founder and Director of the Institute of Astronomy in Cambridge – he was often viewed as being anti-establishment. He did not allow himself to be confined to hypotheses which upheld the status quo of mainstream science, often looking for solutions in unsuspected places. Throughout our history all revolutionary advances in science have sprung from ideas that were outside the realm of conventional belief systems and, sadly, throughout our history the originators of these ideas have been viewed with suspicion. During the 1950’s Hoyle and his collaborators began to challenge this theory. They postulated that despite the observed expansion of the Universe – galaxies getting further apart with time – the Universe could be in a steady state if new matter and new galaxies formed continuously in the space vacated by the expansion. The theory led to many definite predictions. Supporters of the Big-Bang theory (a term coined by Hoyle as a disparaging appellation) were quick to devise experiments that sought to disprove the predictions of steady state cosmology, and by the early 1960’s such predictions appeared to be going against the Steady-State theory. The fate of the Steady-State theory appeared to be finally sealed by the discovery in 1965 of the Cosmic Microwave Background which was interpreted as the relic energy of the Big Bang, now thought to have occurred 13.8 billion years ago. But the last word may yet to be said in relation to how it all began. Multiverses, eternal inflation, oscillating universes alternating between expansion and contractions still remain in currency – and in some of these models the mathematics of the Steady State universe appears to persist. 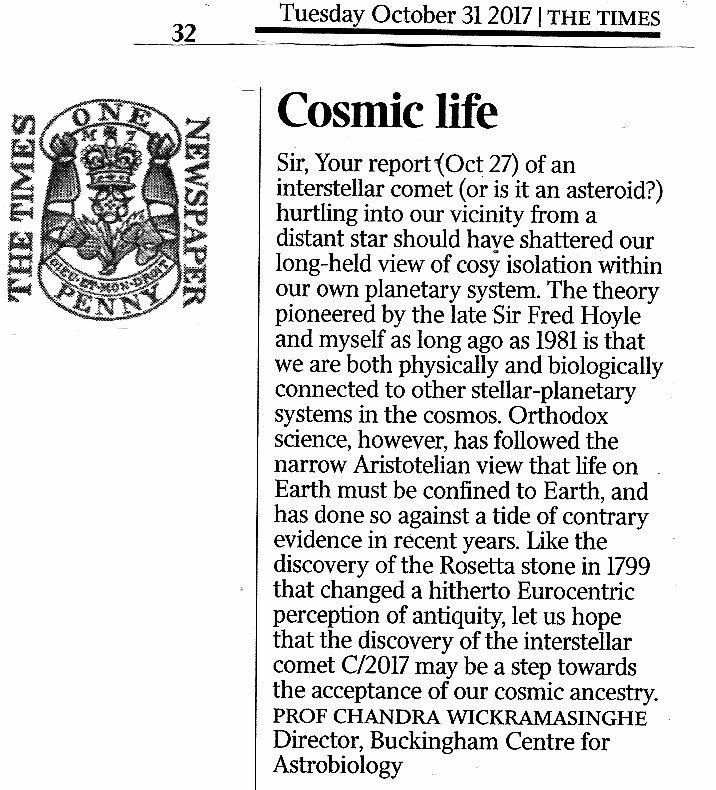 Perhaps Fred Hoyle’s most daring scientific exploit relates to his 40-year long collaboration with my father Chandra Wickramasinghe on the cosmic origins of life. After identifying the great profusion of complex organic molecules – which are the building blocks of life itself – in interstellar dust in the 1970’s, Hoyle and Wickramasinghe became gradually convinced that life is a truly cosmic phenomenon. Their ideas were viewed as being heretical at the time but Hoyle was never frightened of finding solutions outside the realm of orthodoxy. He turned accepted precepts on their head, stating that the cosmic nature of biology will seem as obvious to future generations as the Sun being the centre of the Universe seems obvious to the present generation.